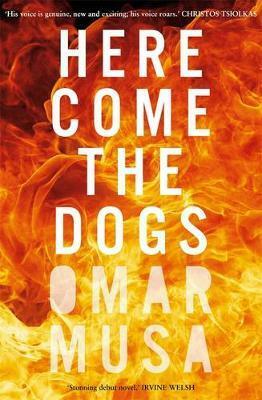 Omar Musa’s new verse novel swaggers charmingly onto the scene. It follows a group of crude, sometimes violent and partially talented young guys as they take drugs, get tattoos, pick up girls and worry about the future. Musa sets a scene like he’s directing a film. In his hands, dark scenarios take on a music video allure. He turns greyhound racing, street fights, public transport and other mundane Australian horrors into slick, dreamy vignettes. Ideas for literary scenes that would rightfully make anyone cringe – an urban rap battle, anyone? – are skilfully portrayed here. The main characters are likeable, if not exactly friendly. Sometimes they’re invincible young gods on a rampage, high and confident. Elsewhere, they’re testing their best poker faces on bored travel agents who know full well they don’t have any money. The most awkward accounts are reserved for Georgie, a white university student and feminist. She is a clownish figure, in one scene spied handing out leaflets on the street for refugee rights, in another getting her classmates to intellectually gang up on someone. When one of the protagonists accompanies her to a boring university lecture on sexism, he hates it but enjoys pretending he thinks they’re smarter than he is. These sections could have been disastrously clumsy, but they do point to a very real mutual discomfort, dishonesty or even just dislike between the working poor and their do-gooder liberal champions. But thanks to scenes like these, questions linger about which audience this book is written for. Middle-class white people wanting an insight into scary hoodlums? People who are part of this dark and violent underclass? Rebellious, highly literate teens? Here Come the Dogs is beautiful, it’s not preachy or didactic, and it’s ripe with disdain for swathes of its potential audience.